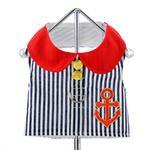 Your dog will be ready to set sail with the Sailor Boy Dog Harness Vest by Doggie Design. 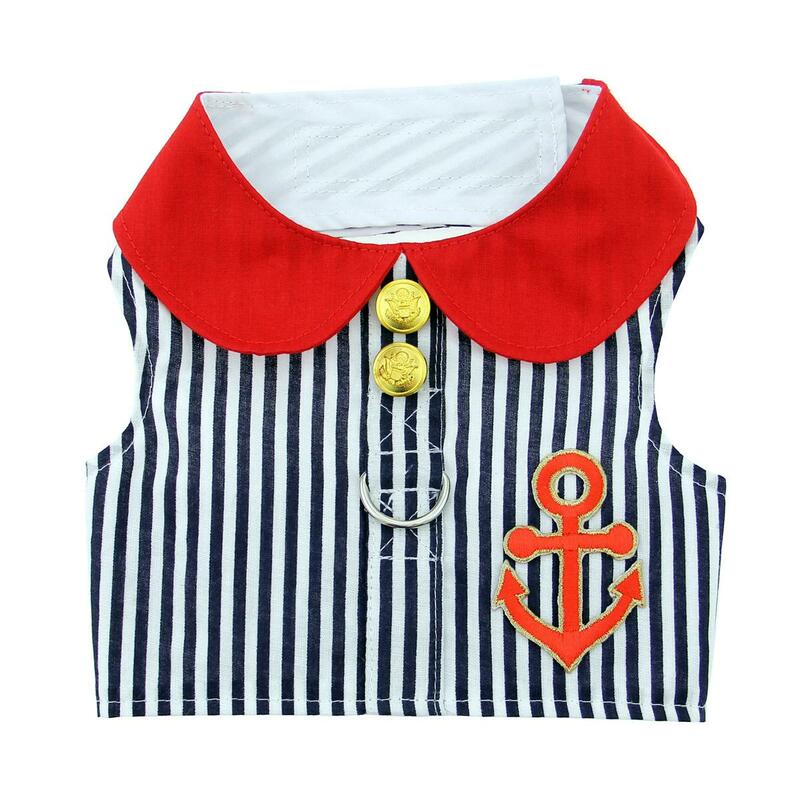 Your pup will be ready to man the yacht with this comfortable Sailor Boy Dog Harness Vest by Doggy Design. We love the nautical details including a navy and white stripe fabric, gold buttons, and an anchor patch. Perfect for walking on the boardwalk or for any patriotic event, your dog will look handsome and be secure thanks to the heavy-duty touch fastener and reinforced D-ring. A red matching leash is included. 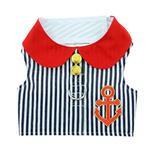 Look for the coordinating Sailor Girl Dog Harness Dress by Doggie Design. Care: Poly/cotton blend. Machine wash, cold water, on a gentle cycle with fasteners closed. Line dry. Iron as needed. 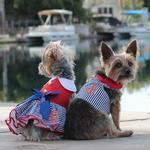 Sailor Boy Fabric Dog Harness Vest by Doggie Design Customer Photos - Send us your photo! Posted On 04/20/19 by Barbara K from Monongahela, PA Yes, Barbara K recommends this product! My husband is a Navy vet and so we love military looks on Riley. This halter fits him nice and looks adorable. Will get a lot of use out of it through out the summer. Another good buy! Posted On 05/31/18 by Biloxi from Biloxi, MS Yes, Biloxi recommends this product!